DERE EVIL EXE, the standalone sequel to DERE .EXE, is a terrifying thriller inspired by the simplicity and aesthetics of 16-bit platformers. The first trailer for the 'DERE EVIL .EXE', sequel to 'DERE .EXE', has arrived on AppSir, Inc.'s Youtube Channel. It features famous Youtubers such as Markiplier, YuB, Luigikid, and Bijuu Mike trying to survive the horrors of the first game. The 'DERE .EXE' games are a port of an abandoned game called "DE** .EXE". Darius Guerrero, CEO, doesn't want to reveal any more details about the original game and what console it was from but says that the new games are already drastically different from its original form. AppSir, Inc. will once again integrate A.I.D.E. 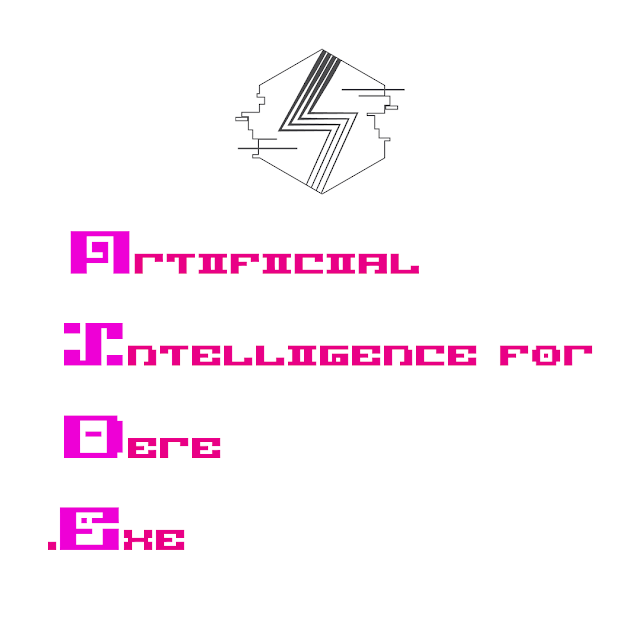 (Artificial Intelligence for DERE .EXE) to provide assistance to players and allow them to finish the game with the least amount of difficulty possible. A.I.D.E. was previously corrupted early on in the 'DERE .EXE' game, but has now been upgraded and restored for 'DERE EVIL .EXE'. With consumer needs at the heart of product strategy, 'DERE EVIL .EXE' will be released for free on the App Store and Google Play, with the price for Steam, Itch.io, and Gamejolt at about less than a dollar. 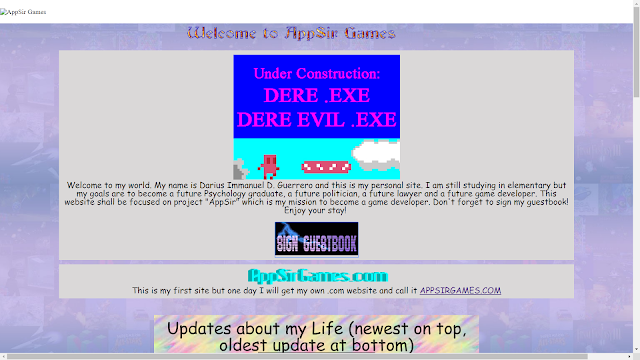 DERE EVIL .EXE has been nearly two decades in the making, with it being first mentioned in the AppSir devlog from 1999. 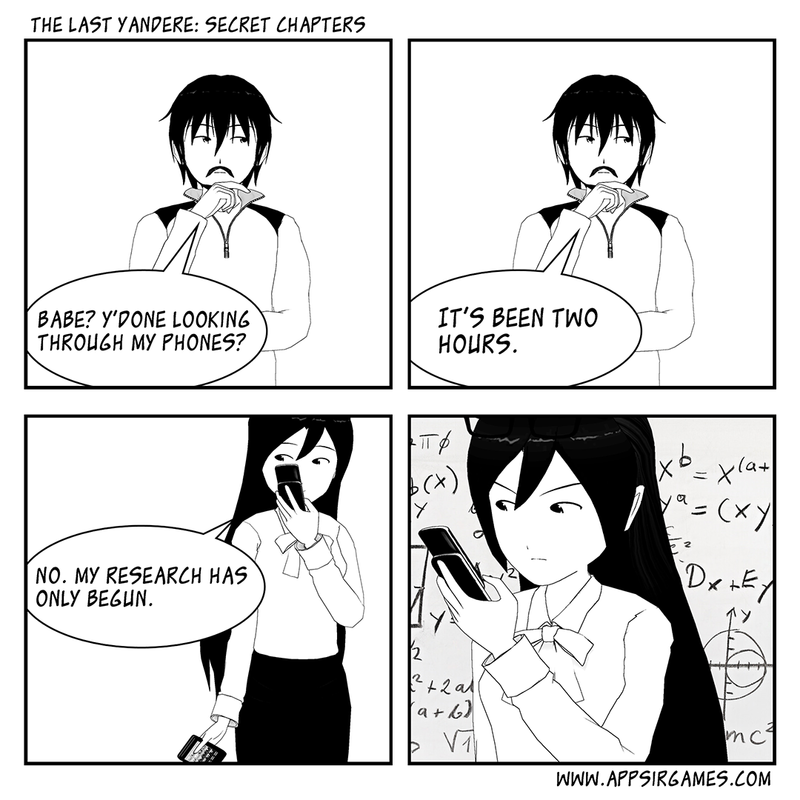 Because of the corruptions brought about by the 'DERE .EXE' incident, 'THE LAST YANDERE PART 2' has been postponed. NaNoRenO 2018 community · Replied to Cami in What are you making? Got other projects right now couldn't complete it unless it's rushed and it's already too late, I think. You have a twitter or something? Hey Cami! Good luck! From PH too unfortunately couldn't join this NaNoRenO thing. itch.io Community » Game Development » Release Announcements · Posted in DERE .EXE ☠️ a Creepy Rage Game with 50K Downloads on Google Play, now on PC and iOS! DERE .EXE is getting Youtuber coverage and the world is now doomed. itch.io Community » Game Development » Release Announcements · Replied to leafo in DERE .EXE ☠️ a Creepy Rage Game with 50K Downloads on Google Play, now on PC and iOS! Noooo. What did you do, leafo? Now she's coming for them. itch.io Community » Game Development » Release Announcements · Created a new topic DERE .EXE ☠️ a Creepy Rage Game with 50K Downloads on Google Play, now on PC and iOS! Hello everyone! DERE .EXE is now available for Windows users but is still BEST PLAYED on a mobile phone. On second thought, please don't download this game. This game is nothing. This app is nothing. Just a blank screen. Just a normal lost phone game. There is no game you'd want here. This app is useless. Just a found phone game in a corrupted ROM. She made us release this. She wants to tell her story. It's the yandere's fault. Dere .exe is nothing more than just a ported .exe game, a replica. Please don't touch anything that has to do with this app. Move along now. We've got other games you might like. We've got pixel art games, rage games, trap adventure platformer games, survival horror games, visual novels, creepypasta games, and games with old school retro nes feels like this one. Okay? So please... DO NOT DOWNLOAD THIS APP. DON'T PLAY THIS GAME!!! Please do not play this game. 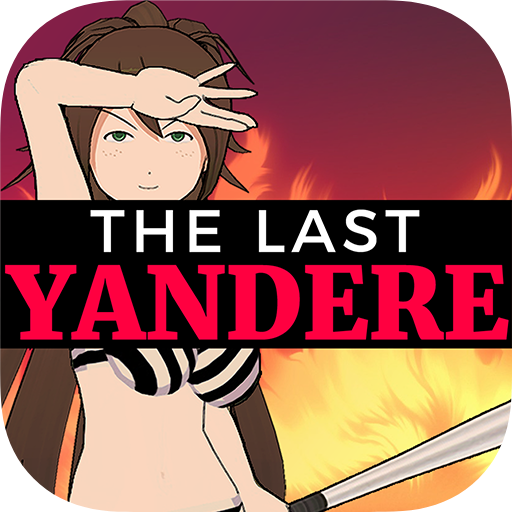 The Last Yandere is a short mystery horror visual novel story that will get you hooked! You think Kara might be a Yandere (ヤンデレ), a common Japanese term that is a combination of two words: yanderu (病んでる), meaning mentally unstable and deranged, and deredere (でれでれ), meaning to show genuinely strong romantic affection. You think her crazy heart is going doki doki on you.